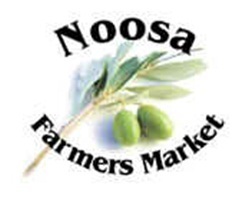 Every Sunday from 7am to 12pm, lose yourself in a sensation of tastes and smells at the Noosa Farmers Markets. Not what you would traditionally expect to find in the refined Noosa area, the Farmers Markets are a treat for the tastebuds. They are set in a rustic area alongside the Noosa Australian Football Club on Weyba Road. The pathways are unpaved and a little rough and the area feels more like Eumundi than Noosa, but it's the perfect place to come for your fresh food needs. Live music sets the scene as you wander around. Whether you're buying fresh food for Sunday lunch, out for breakfast or stocking up on fresh groceries for the week, this place is filled with every type of fresh food you could want. Enjoy browsing for plenty of fruits and vegetables, eggs, a great range of fresh meats, jams and chutneys, beef jerkies, fresh flowers and herbs, homemade breads and cakes, doughnuts, herbal teas, organic turkeys and organic pasta, to name a few. Seafood prices here are great value and all of the food displayed is of good quality and freshness. See the official website for a list of the traders at the markets each week. The markets have live music and an atmosphere of rustic happiness. A popcorn stand sets off fantastic aromas, and then there's the ready to eat food area. Cooking smells and smoky flavours fill the air. Drink a hot coffee while deciding which of the great assortment of foods to eat. Tasty and hot, aromatic brunch food is everywhere, although seating is limited. You could easily eat while strolling the markets though, or bring a blanket and sit over on the grassy area near the football oval. Parking is available in the area and the markets are free entry. Located at the Noosa Australian Rules Football Club, Weyba Road, this is a fun morning out for food lovers.